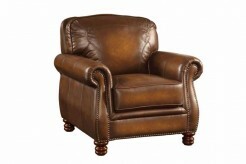 The Victoria Leather Chair is a classic button tuffed tri-tone 100% leather chair. 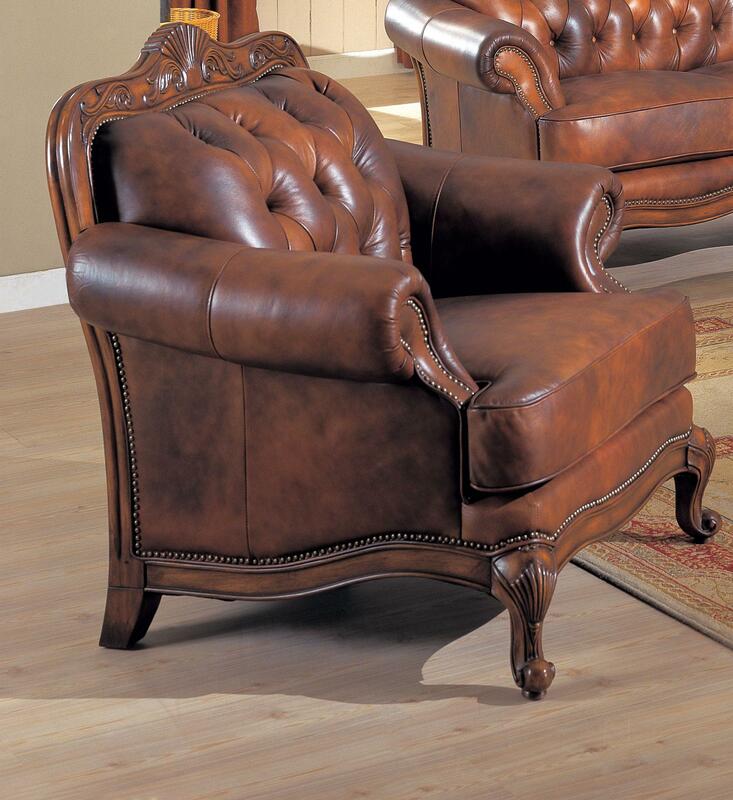 The Top Grain Split leather is carefully crafted with 3 colors blended, accented with wood trim and individually placed nailheads to create this high end look with its gentle curves. 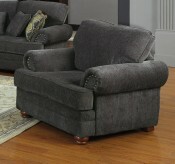 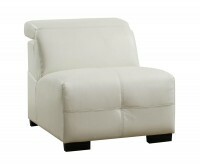 Constructed with a hardwood frame, 1.8lb density foam cushion with Dacron wrap. 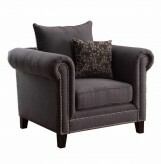 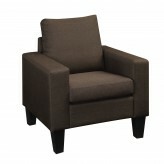 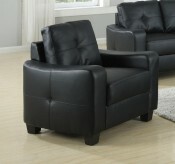 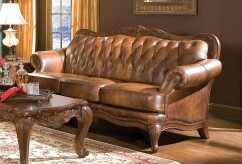 Furniture Nation is proud to offer the Victoria Leather Chair online. 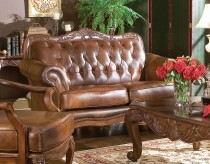 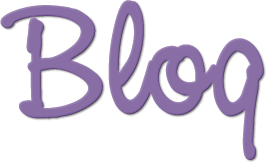 We serve customers across the DFW region including Southlake, Richardson, Desoto and many more. 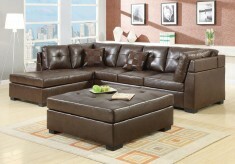 L45" x D39" x H43"